Consuming (dark) chocolate can cut the risk of heart disease and stroke by as much as 39 per cent, according to scientists. 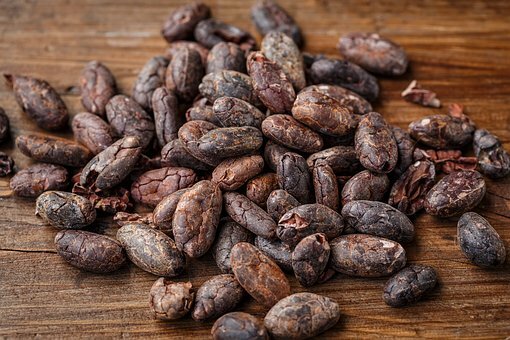 It is the beneficial substances known as flavanols found in cocoa that are thought to be responsible for lowering blood pressure and boosting heart health. These flavanols are found in higher concentrations in dark chocolate, which is why the scientists found that dark chocolate was most beneficial due to its higher levels of antioxidants and cocoa content. The eight-year study, of nearly 20,000 people aged 35 to 65, confirmed the results of previous, smaller studies into the health benefits of cocoa products. This study found that even one square of chocolate can be beneficial, but if the dose was increased by just six grams, there were 85 fewer heart attacks and strokes per 10,000 people. "Given the promising health effects of cocoa, it is tempting to indulge in more chocolate, But we should make sure we are eating as part of a healthy and balanced diet. Small amounts of chocolate may help to prevent heart disease, but only if it replaces other energy-dense food - such as snacks - in order to keep body weight stable. The researchers said that they found that those who ate the most amount of chocolate - an average of 7.5 grams a day - had lower blood pressure and a 39 per cent lower risk of having a heart attack or stroke compared to those who ate the least amount - an average of 1.7 grams a day. Cocoa beans contain beneficial flavanols, which are thought to increase nitric oxide in the blood and improve the function of blood vessels. "Nitric oxide is a gas that, once released, causes the smooth muscle cells of the blood vessels to relax and widen; this may contribute to lower blood pressure. Nitric oxide also improves platelet function, making the blood less sticky, and makes the vascular endothelium less attractive for white blood cells to attach and stick around." The German researchers found that during the eight years there were 166 heart attacks (24 fatal) and 136 strokes (12 fatal) with people in the top quartile having a 27 per cent reduced risk of heart attacks and nearly half the risk (48 per cent) of strokes, compared with those in the lowest quartile. Most chocolate, especially milk and white chocolate is usually made with refined sugar, it often contains artificial flavorings, and is loaded with calories, and this should be kept away from. Consider adding small amounts of plain dark chocolate to your diet. The total antioxidant content of chocolate depends on the amount of raw cocoa it contains, so look for dark chocolates with a high percentage (seventy percent and over) of cocoa. Remember that the closer the chocolate is to its original raw state, the more beneficial it is for health, and like all foods should be eaten in moderation, and its beneficial effect is in the context of an existing healthy diet, devoid of refined foods and snacks. B Buijsse, C Weikert, D Drogan, M Bergmann, H Boeing. Chocolate consumption in relation to blood pressure and risk of cardiovascular disease in German adults. European heart Journal.